This innovative and simple-to-use app helps you build and view albums that not only displays photos but also related videos, audios and web pages, yes for the first time. No more boring slideshows or disjointed videos, merge all with Picvie and create compelling stories. 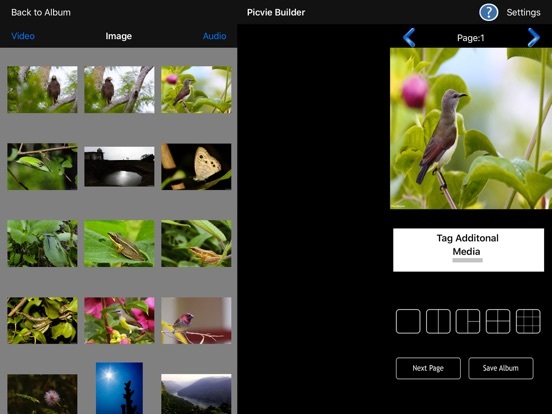 Create photo albums on the fly, directly from your phone or tab, even while clicking photos. 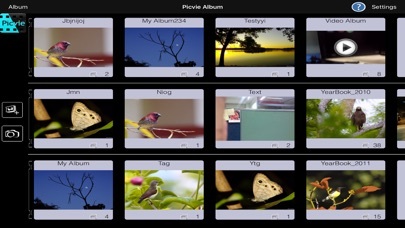 Picvie organizes all your photos into neat albums and offers various templates and layouts to set appropriate mood for the viewer. Share your photos on FB and do much more with Picvie. 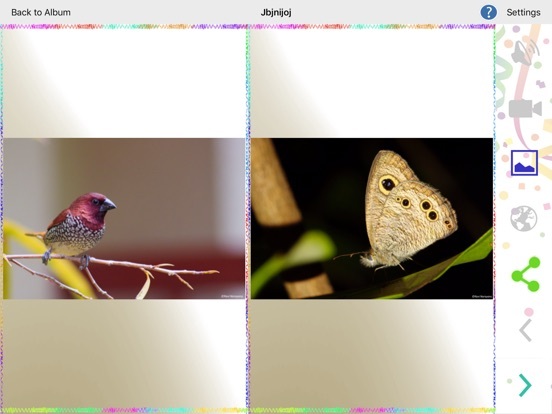 With Picvie, your photo viewing experience will never be the same again. No more boring slideshows or disjointed videos, with Picvie you can add videos, audios and web content to your photos to create good stories whether it’s your office trip, a birthday party or a wedding. So you are thrilled showing that great shot you took of the leopard glaring at you. Your friend says “Great!” but failed to experience the moment as you did. Imagine the same set of shots all in same frame giving way to a video of the same leopard standing in front for a few seconds (almost an eternity) and then slowly makes way up the tree, the sounds of the forest (monkeys chattering, deer calls signalling the arrival of the predator). If that’s not enough, you can add a wiki page on leopards to tell give your friends some “gyan” about it. Now that’s experiencing the moment and it can be created using Picvie in matter of minutes. Set the right mood and context for each occasion. 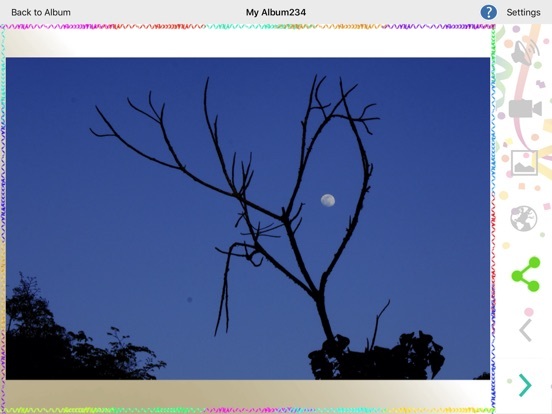 Create albums even as you click pictures. 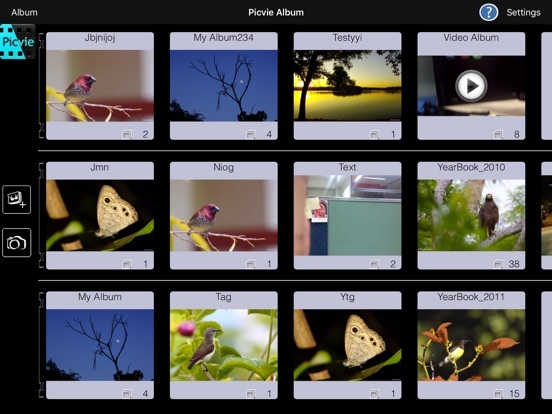 With Picvie you can create albums on the go, yes! even while you are clicking photos from your smartphone/tab. No need to spend extra time doing this. Just not photos, Picvie allows you to share the photos with the theme and layout, looks almost framed. Not only on FB, you can do it on What’s App, Google+, on mail or any sharing app you have on your device.